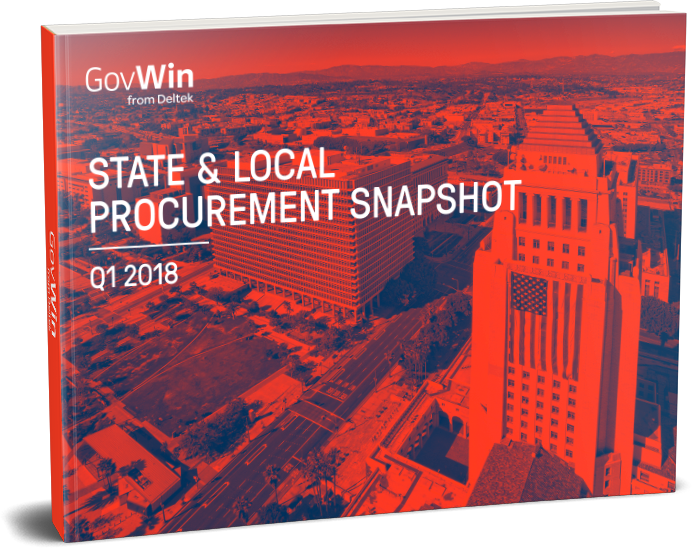 In GovWin’s State and Local Procurement Report for Q1 2018, the SLED market analysis team at GovWin has highlighted four specific industry groups that are seeing year-over-year growth of at least 4%. Our geographic analysis also identifies states with the highest growth rates in bid volume to provide a regional perspective. Get the most comprehensive and timely state, local, and education market intelligence available by downloading this free report today.